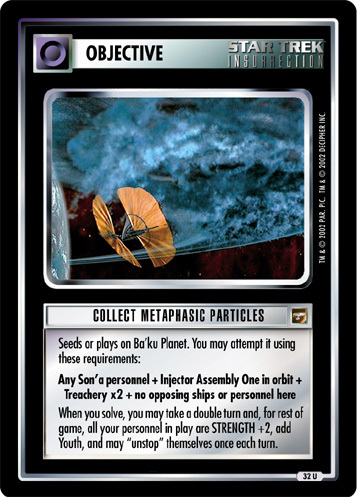 Seeds on table during facility phase; you may download U.S.S. Reliant. 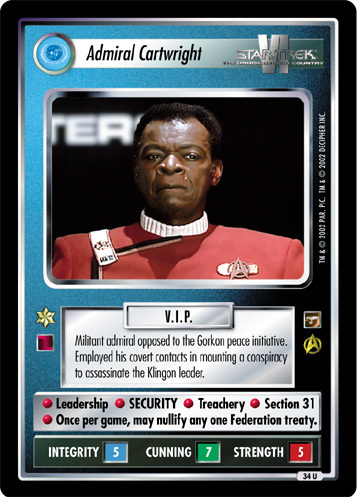 Once each turn, your Khan (or any personnel with his name in lore) may report for free aboard U.S.S. 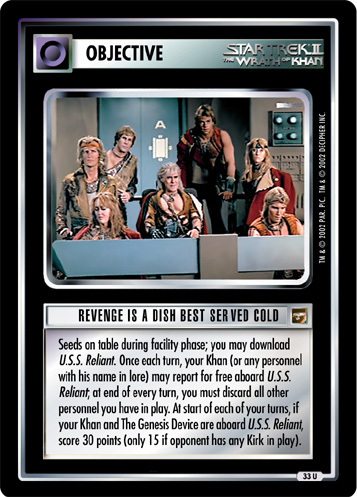 Reliant; at end of every turn, you must discard all other personnel you have in play. At start of each of your turns, if your Khan and The Genesis Device are aboard your U.S.S. Reliant, score 30 points (only 15 if opponent has any Kirk in play).